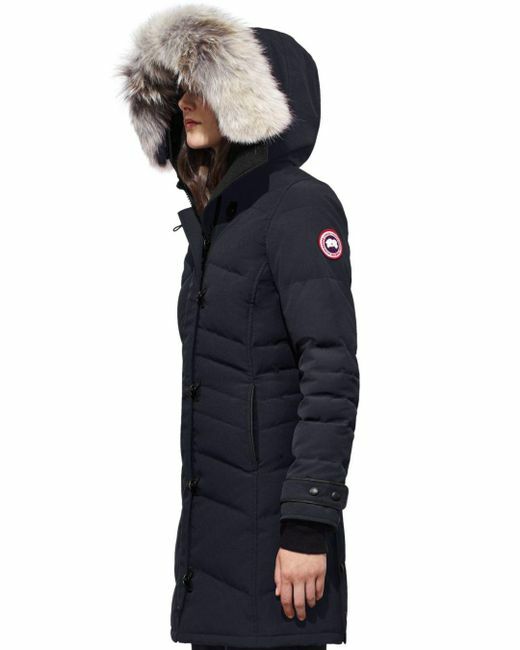 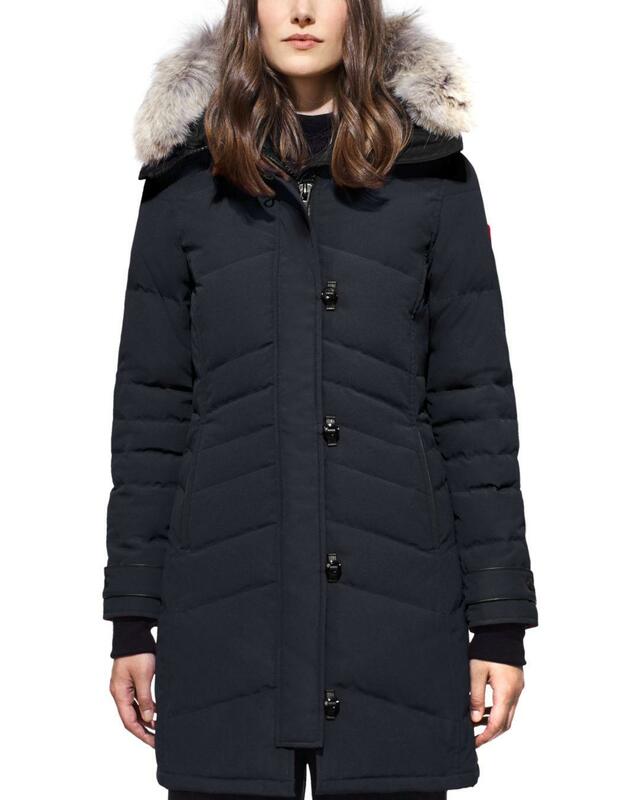 Canada Goose's Lorette parka jacket is crafted from quick-drying and water-resitsant navy shell for superior protection from rain and wind. 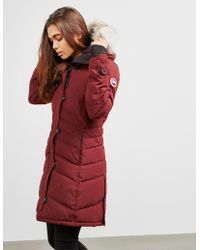 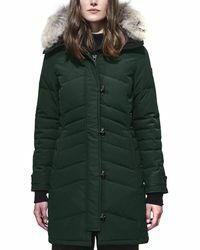 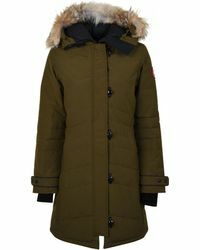 The down filling, rib-knit cuffs and detachable coyote-fur trim hood are a cozy finish. 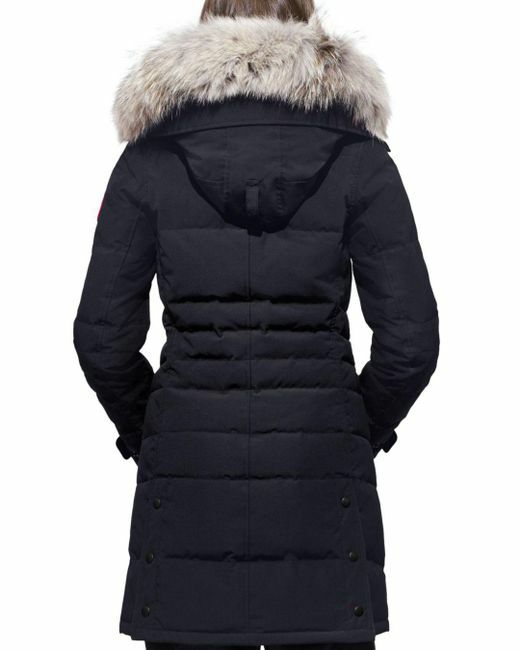 Wear it with your go-to T-shirts and jeans.